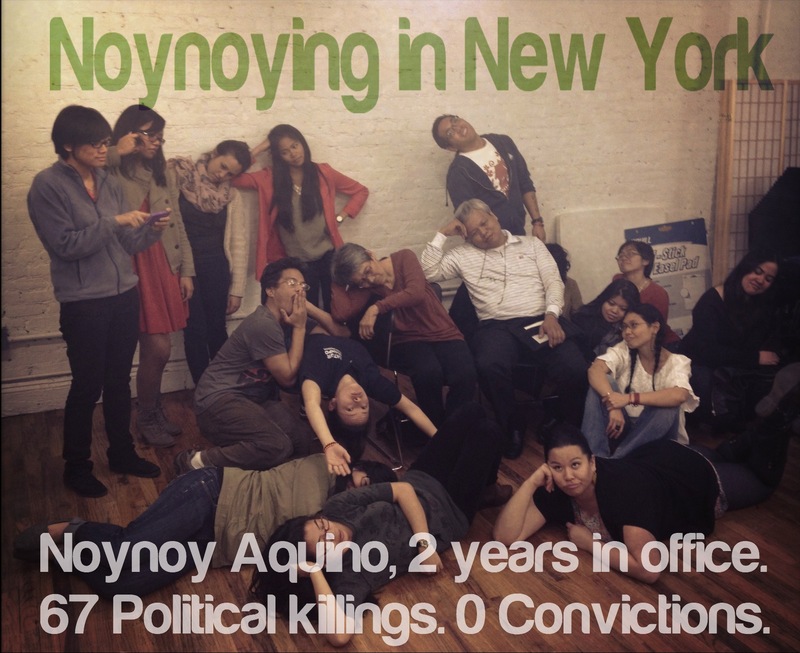 Members of Ankabayan New York and Anakbayan New Jersey, chapters of a progressive Filipino youth and student organization, organized “Noynoying” protests in New York City to criticize the Aquino government’s continued inaction and apathy on pressing issues that affect the nation. “Noynoying” is a creative form of protest recently popularized by youth and student activist in the Philippines who were protesting the relentless oil price hikes and Aquino’s hands-off helpless approach towards issues of national concern. This form is going viral as people vent out their frustration of Noynoy governments noynoying on every single issue from the Hacienda Luisita land distribution, worker’s call for wage increase, deteriorating social services, etc. Anakbayan Philippines even published a “How to Noynoying” guide for folks who want to join in. 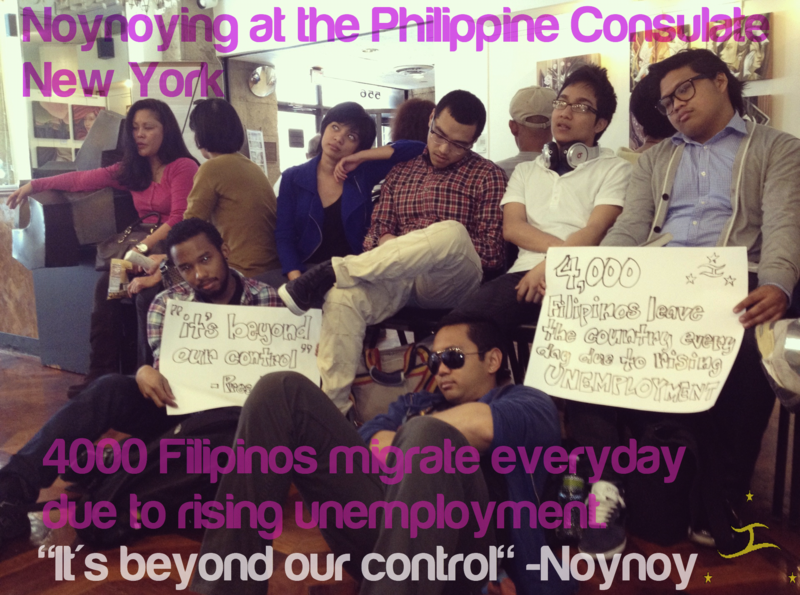 Noynoying at the Philippine Consulate General in New York City. Members of Anakbayan New York and New Jersey went inside the Philippine Consulate. Youth and students activists are raising the issue of government inaction in curbing the growing number of Filipinos who are forced to migrate overseas due to bleak economic opportunities back home. Members of BAYAN North East held a noynoying after a human rights forum to raise the issue of government inaction in resolving human rights violations in the Philippines. They also raise the issue of the counter-insurgency program, Oplan Bayanihan that is mainly causing the rise in political killings, enforced disappearances and torture.